The U.S. Director of National Intelligence says that Pyongyang is expanding its nuclear and missile launch capabilities. The Associated Press reported this week that U.S. intelligence has evidence that North Korea is expanding its nuclear program. According to the report, Director of National Intelligence James Clapper believes that North Korea has expanded its uranium enrichment facility and restarted a plutonium reactor that was shut down in 2007. The report appeared in Clapper’s written testimony to the Senate Intelligence Committee about national security threats to the United States. The issue was not addressed in the public portion of the Senate Intelligence Committee hearing, which focused more on the impact of Edward Snowden’s leaks on the National Security Agency and the continuing intelligence efforts to thwart terrorist attacks. However, Clapper’s testimony meshes with independent reports that North Korea is diligently expanding its nuclear facilities. 38 North conclude that, due to ongoing construction at the launch site, there would be “no tests before spring 2014 at the earliest.” Still, the evidence that North Korea is developing new nuclear and missile capabilities lend a worrisome undertone to recent bellicose rhetoric flowing from Pyongyang about the upcoming U.S.-South Korea joint military drills. The annual Foal Eagle drills are scheduled to take place in late February this year. Last year, in the lead-up to the drills, North Korea conducted both a satellite launch (seen by many as a not-so-subtle way to test missile launch technology) and a nuclear test, sparking a wave of condemnations. This year, North Korea has already begun preemptively condemning the joint drills, claiming (as usual) that the United States wishes to ultimately invade North Korea. By loudly demanding that the drills be called off, North Korea’s government may be setting up a pretext for a missile or nuclear test later this year as a response to the drills. The evidence of North Korea’s expanding nuclear program was likely on the agenda of Glyn Davies, the U.S. Special Representative for North Korea, who was in Beijing, Tokyo, and Seoul last week. Based off the intelligence reports, the U.S. would likely try to coordinate a response among regional players should North Korea proceed with a missile launch or nuclear test. 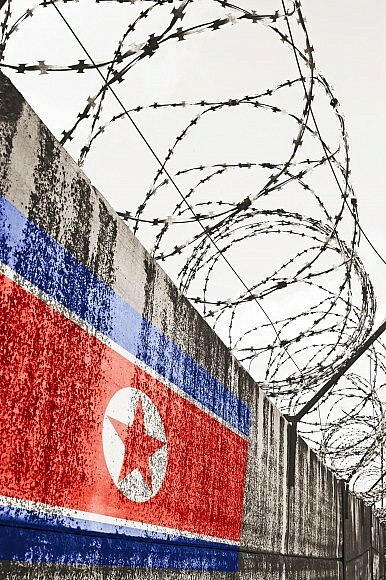 The evidence that Pyongyang is expanding nuclear facilities also strikes a blow against the resumption of the six-party talks, a diplomatic mechanism favored by Beijing. The U.S. and South Korea have refused to consider restarting talks until North Korea takes concrete steps to dismantle its nuclear program. With evidence Pyongyang is doing just the opposite, Davies may have tried to convince Chinese leaders to take a harder stance against North Korea. For all the concern about North Korea eventually possessing nuclear warheads, the most immediate danger might be the possibility of an accident. IHS Jane’s 360 writes that experts are concerned the concentration of nuclear facilities at Yongbyon creates the possibility for a disaster worse than the famous Chernobyl accident. Yongbyon reportedly uses graphite moderators, and “graphite loves to burn,” as Peter Hayes of the Royal Melbourne Institute of Technology told Jane’s. A fire within the complex could lead to a chain reaction and an explosion at the site, with radiation plumes potentially threatening Pyongyang as well as China, South Korea and Japan.